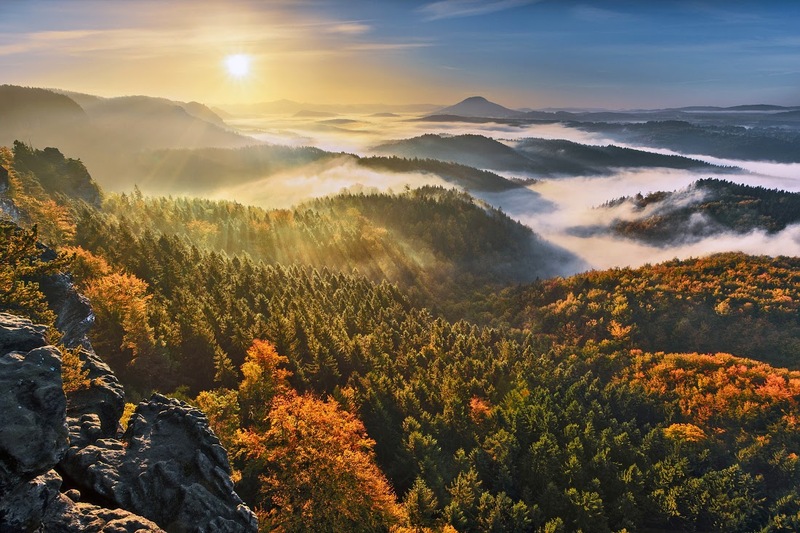 The Bohemian Switzerland National Park (Národní park České Švýcarsko), which was established on 1st January 2000 and covers an area of nearly 80km2, is the youngest national park in the Czech Republic. The park on its northern side borders and is linked to the Saxon Switzerland National Park in Germany, which was established in 1990 and covers an area of 93 km2. The mission of the National Park is to preserve the local territory in its full beauty and to enable natural processes to prevail in this area. Human interventions are only limited to activities which help restore the natural balance to the greatest extent. The focal point of the area protection is a unique sandstone rock town with the occurance of rare plant and animal species and islands of well-preserved woods. Natural values of the National Park have also been acknowledged within the European Union by including it in the prestigious list of European conservation areas called Natura 2000. With a click on the headline or the picture You find further information about tasks and aims of the national park, a broad section about the geology, fauna, flora and forests within the national park, an overview over the history and tourism and a detailed description of the different management fields of the national park Bohemian Switzerland.